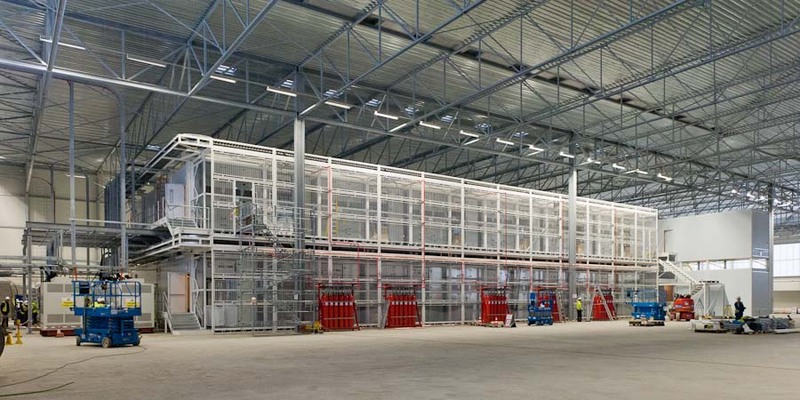 A huge investment by Colt in their Netherlands site saw the construction of a new 100,000sq/ft warehouse and office facility, and we received an order to build 2000m2 data halls back to back; one completed in December 2012 the other in May 2013. 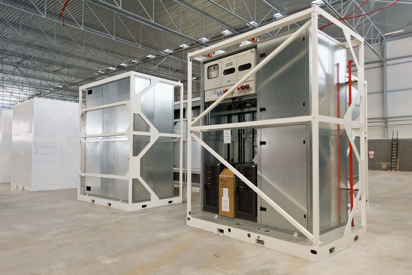 With an end user already in place, Hewlett Packard and ING, it was imperative that the contracted completion date was met. 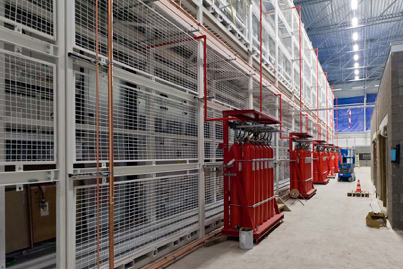 The project consisted of 58 data hall modules, 48no CTF80 DFU’s, 96no 80kVa IT UPS’s and 48no 10kVa Mechanical UPS’s, 16no 850KVA 400v Cummins synchronised sets, 8no 2MVA 10KV/433v packaged switchboards, HV and LV cabling, BMS, fire and security systems including IG55 gas suppression, and final testing and commissioning. During this time a fit out of a MMR (Meet Me Room) was also completed. Most of the products were manufactured in the UK and advance planning was required for road haulage in order to acquire permits to travel during the set time-scales. Road surveys were also carried out in advance which highlighted the need for the removal of street furniture and the widening of a road. Close co-ordination was required throughout with the Belgian and Dutch contractors who were on site constructing the warehouse and office areas. Both projects were completed on time, within budget and to a high quality of finish, achieving zero defects/snags on handover.